From the North Slope to the Panhandle, and the Interior to the Peninsula, rural Alaskans are prioritizing their access – to each other, the rest of Alaska and the world. Cost is often the limiting factor. But not always. Many community leaders want to improve access without jeopardizing the unique character and resources of their communities. It’s literally a fight for survival for some small communities. For others, it’s part of a long-term plan to become more sustainable. 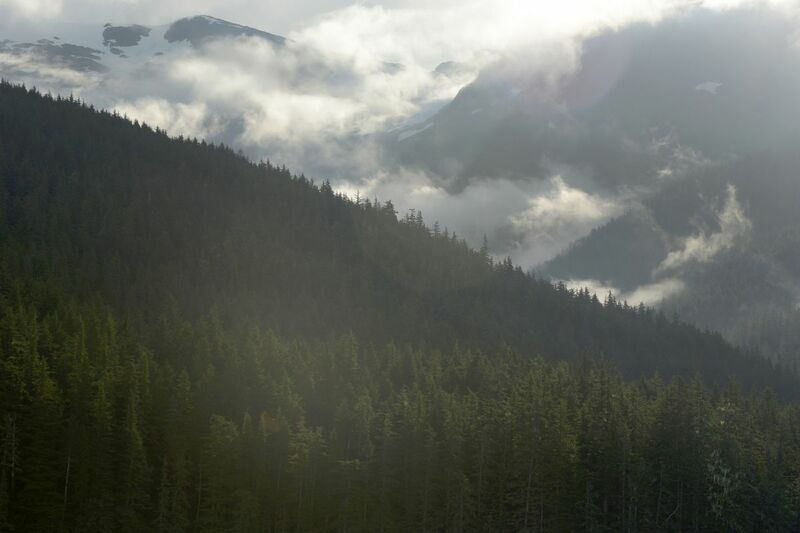 One of the regions where the state of Alaska is working with local communities and stakeholders to increase rural access and connectivity is Southeast Alaska, where the U.S. Forest Service is taking a fresh look at how it manages roadless areas in the Tongass National Forest. Many Southeast Alaska communities are largely surrounded by inventoried roadless areas of the Tongass and are disadvantaged by the national “Roadless Rule” when it comes to creating new jobs and access to services like transportation, renewable energy and high-speed internet. It’s true the Forest Service has approved some development activities in roadless areas, but the process is unpredictable and the outcomes uncertain. Often, the approvals are so limited in scope that the ability to meaningfully advance a multi-phase infrastructure project is severely hamstrung. Advocates for the Roadless Rule focus on its implications for timber harvest. But even in parts of the Tongass where the rule doesn’t apply, timber sales face severe regulatory and economic hurdles, as well as legal challenges. Lifting the Roadless Rule won’t change that. The state of Alaska has supported exempting the Tongass from the national rule for decades and continues to litigate for that outcome. As a matter of policy, we support lifting the rule to create more opportunities for the 34 communities located in the Tongass. These opportunities include: increasing jobs in mining and other employment sectors; improving the feasibility of renewable energy projects; implementing the state’s Southeast Transportation Plan to connect communities; and expanding broadband internet to access services such as telemedicine and education. Over time, these outcomes could bring down the costs of living and doing business in our smaller communities. We recognize that lifting the Roadless Rule for the Tongass has many detractors. It’s important to note that, in addition to fighting for an exemption, we are also participating with the Forest Service in a collaborative public process that seeks to create an Alaska Roadless Rule. This rule-making is a critical opportunity to work with the Forest Service, local communities, the Alaska Native community, businesses and other stakeholders to identify ways to manage roadless areas that better reflect community and regional needs. Alaska is not alone. The Forest Service has implemented state-specific rules in coordination with both Idaho and Colorado, and other states are pursuing similar opportunities to break free from the one-size-fits-all approach of the national rule. The Forest Service plans to publish a Draft Environmental Impact Statement and Draft Rule in June 2019 for public review and input. We have stood up a citizen’s advisory committee that has just concluded a series of meetings throughout Southeast Alaska. This group will provide recommendations to our state forester and the governor on how the state should weigh in on the federal rule-making process. In addition, the State of Alaska and several tribes are participating in the federal environmental review and rule-making process as cooperating agencies. This rule-making is a unique opportunity for Southeast Alaskans to consider the future of their communities and make their voices heard, and I encourage all to do so. Heidi Hansen is deputy commissioner of the Alaska Department of Natural Resources and grew up in Juneau.